Office H&B 2016 is your best-in-class business solution for creating and sharing high-quality documents, spreadsheets, and presentations. Smart productivity. Easy collaboration. Work anywhere more quickly with the latest version of the application you already love. Turn your business data into predictions about future trends with one-click forecasting. Save storage space by easily attaching and sharing files right from Outlook with modern attachments. Windows Defender gives you real-time protection by scanning for malware, viruses, and security threats — so you can share documents and collaborate worry free. Running Office on Windows 10 Pro device helps you get more done— making it simple to create and share documents with your team while on-the-go. 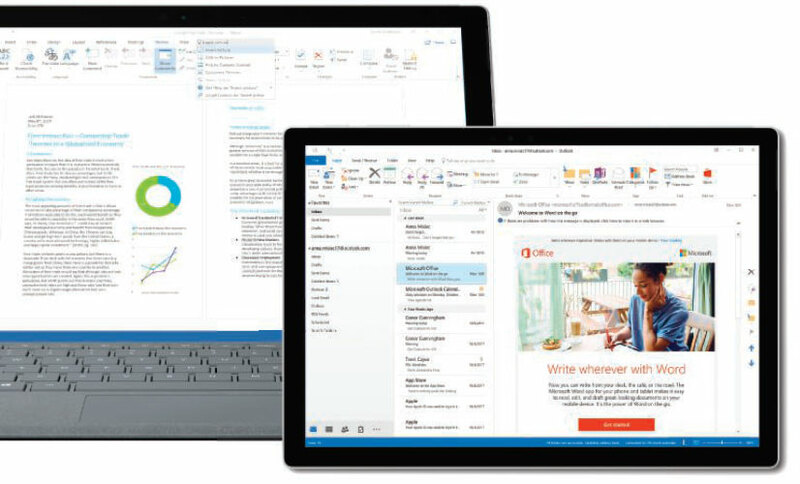 Office for windows 10 Pro offers touch-optimised apps and Inking features that let you easily edit documents, replay notes and convert ink to text in an email. Maximise your Office experience on modern devices— helping you get more don from wherever the day takes you. Now, you can do great work, anywhere, anytime. Don't put your business at risk with an unsupported Office 2007. 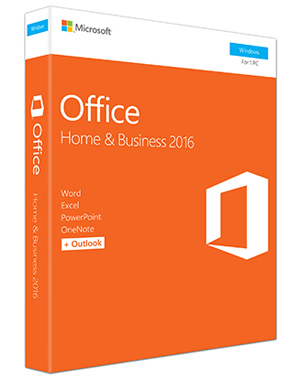 Move to a modern solution with security updates and built-in features—Office Home & Business 2016.